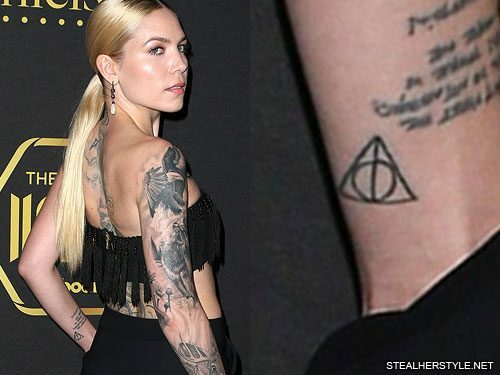 Skylar Grey has a tattoo on her left forearm of the Deathly Hallows symbol from the Harry Potter series. 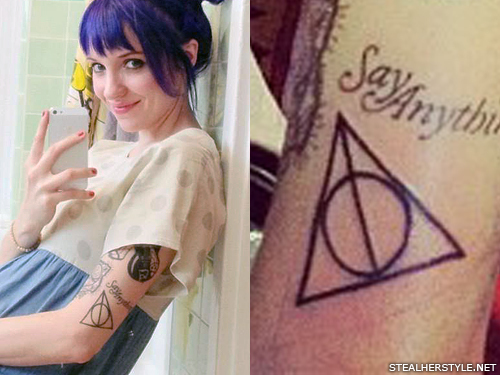 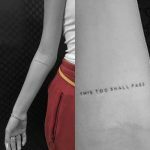 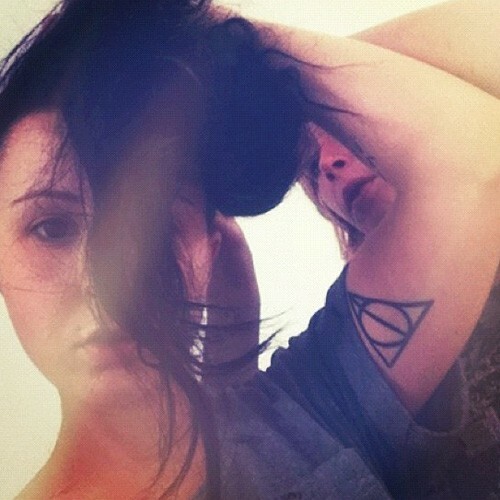 Sirah had the symbol of deathly hallows tattooed on her left bicep. 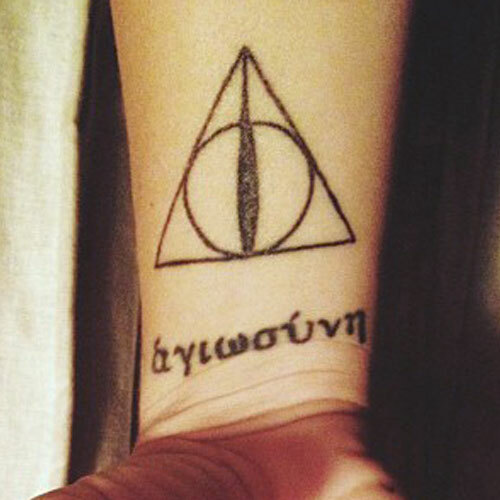 The vertical line of the symbol represents the Elder Wand; the circle, the Resurrection Stone; and the triangle, the Cloak of Invisibility. 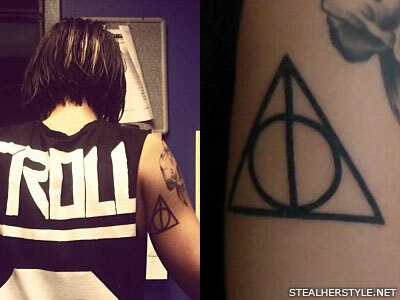 Sherri DuPree-Bemis got the Deathly Hallows logo from Harry Potter tattooed on the back of her upper arm in May 2012. 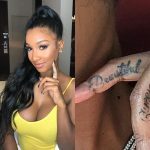 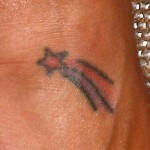 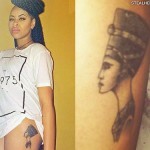 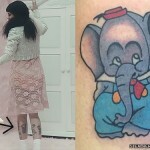 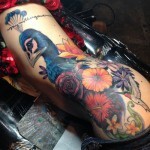 The tattoo was done by her friend Tiffany Petty, who has the same design on her knee.